Nancy is so friendly and professional she found me exactly what I needed in my first store. I would definitely recommend her to anyone looking to lease or buy. She’s there anytime you need her we have been in our office now for 6 months or so and I still hear from her asking how we’re doing and how the property is working for us. 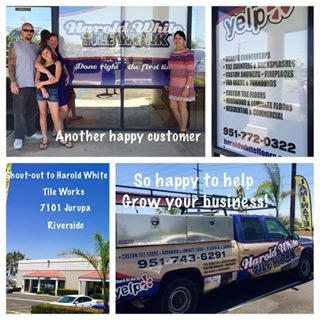 Response from Nancy Kilar on 10/07/2016 Thank you Harold White Tile! I Love that you are growing your business and know that the location you have is a perfect one to do that in! A great, highly visible road and besides that, you do FANTASTIC work, so growing your business should be easy! Congratulations and THANK YOU for allowing me to help YOU!